Job searching can be really tough, especially when you’re not clear on exactly what you want to do next. You might be really itching to move on from where you are now, but before you start looking for your next role, make sure you are clear about what you want and why. Believe me, it will help you in your job search in the long run. Otherwise you run the risk of finding yourself in the same scenario again quite quickly. 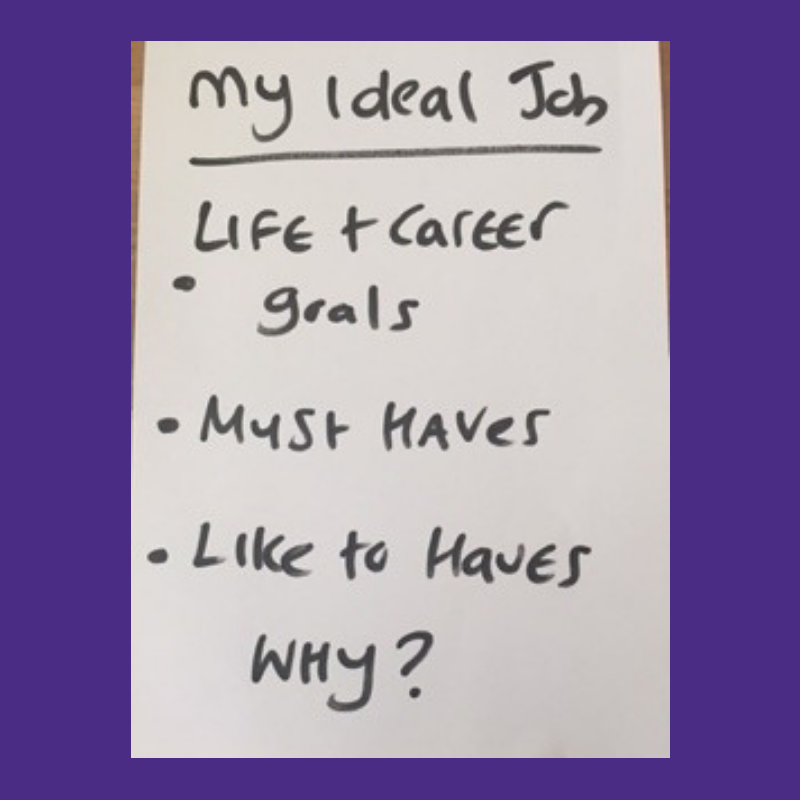 If this sounds even more difficult that job searching, then take a look at these top ten ways to define what you really want in your next position. Your next job should help you move forward with achieving these. For example – ‘having a local territory so I can be home to walk the dog/put the kids to bed/see to the horses’. Not just salary and benefits. How are you treated as an employee? What is really great and what could be much better? What activities, tasks and responsibilities do you really love and want to do more of? What do you really dislike and don’t want to do moving forward? 5. Think about your current manager – what do you like about them? If you could change their management style, what kind of manager would you work with best? Maybe think about your favourite manager ever and what it was about them that you really liked. For example – ‘1. My manager is really knowledgeable about his industry. 2. My manager is too focused on KPIs and not results’. 7. Circle the things you have written down that are really, and I mean really, important to you. Things that would be a deal breaker if you didn’t have them. We will call these your “must haves”. For example – ‘I must have a car allowance as oppose to a company car as I have recently signed up to a 3 year leasing contract’. We can call these your “like to haves”. For example – private healthcare for you and your family. To challenge your own thought process, go through the list and ask yourself why these things are important and also how important are they? You may decide to swap some stuff from the “must have list” to the “like to have list”. Make sure the jobs you are going for meet all of your “must haves” and as many of your “like to haves” as possible. Struggling in your job search, or just need a bit of extra help with it? We’d love to help – take a look at our tips to make your CV stand out from the rest, how to get your application noticed and how to choose a good recruiter to work with you. 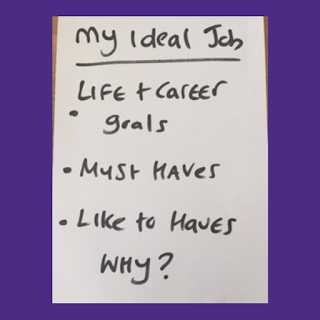 Louisa has also done a fantastic video blog to help you manage your time when looking for a job which you can look at here.